Welcome you to our official website! Our university has a long and glorious tradition that we preserve and multiply today. It has passed its difficult and thorny path, the path marked by scientific and educational laurels, prominent personalities as well as groundless accusations and political repression. 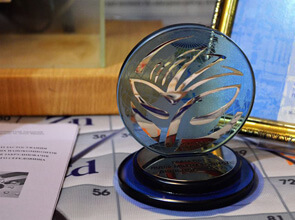 However, despite all the obstacles, the oldest in Zhytomyr region institute of higher education continued to work and develop in various forms imposed by authorities and the merited idea of science and enlightment has always been dominant in it. The powerful potential of the teaching staff, upgraded material and technical supply, modern innovative learning technologies have added to its growing into one of the most prestigious educational establishments of Ukraine. Its more than 80-thousand army of graduates works in all corners of Ukraine as well as abroad. Among them there are famous scholars — mathematicians, physicists, biologists, geologists, linguists, historians, writers, managers of education, diplomats, politicians and state figures. 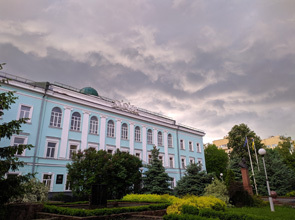 Due to their activities, research and teaching achievements our university is highly valued not only in Ukraine but also far beyond its borders.